The first step was to figure out how to make a ghost bunny look cute. The character Pusheen immediately popped into mind, so I started putting together a moodboard of Pusheen as well as other Japanese-inspired ‘kawaii’ illustrations before sketching some initial concepts. The end result was a super cute character with a simple form so that it could be adapted across numerous social media platforms. 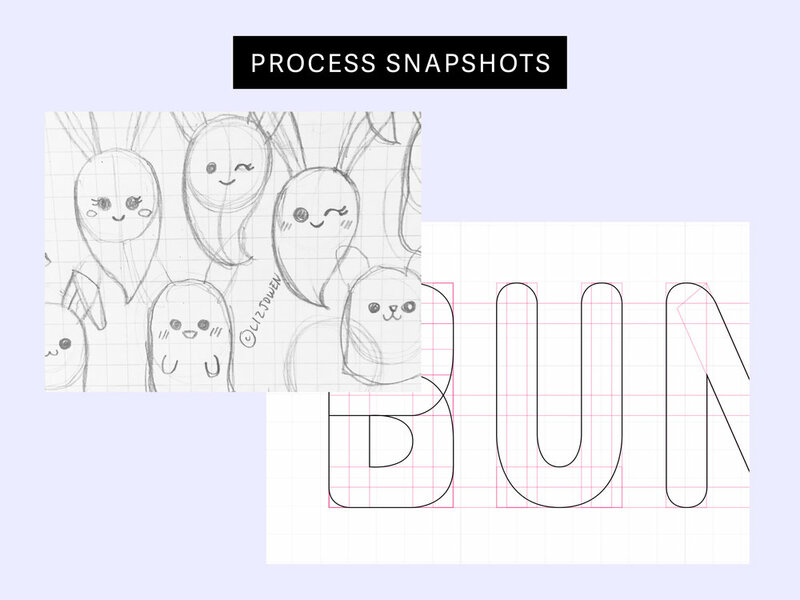 A bubbly logotype was created to coincide with the ghost-bunny illustration, and a colour palette consisting of lilacs and black was chosen to compliment both Elizabunni’s pastel goth and ‘kawaii’ style.